The arresting image of rutting stags, antlers locked in a dramatic contest for dominance and control, provides a thoughtfully reflective and emotionally perceptive insight into the contrasts which lie at the heart of this beautifully elegant second studio album from White Moth Black Butterfly. The graceful majesty and captivating allure of the world in which we live nevertheless echoes with sounds of brutal ferocity and feral violence: nature red in tooth and claw. Much like the world around us, our lives are a perpetual grappling with shifting tensions and conflicting forces. Power and authority are matched with fragility and vulnerability, love and hope framed against loss and despair, faith and forgiveness mirrored by deception and spite. Each swing of life’s turbulent pendulum highlights and illuminates its opposite; we are left to carefully tread the fluctuating and precarious balance of the middle ground created by their competing struggle. As a project which seeks to combine contemporary forms of progressive and experimental music, founder Daniel Tompkins – also lead vocalist with U.K. band TesseracT – believes the new album “represents that very same struggle”. Listening to the opulent ambiance and the luxurious cinematic soundscapes, it is certainly hard not to agree. Atone is a lusciously rich and gloriously sumptuous album; yet the warmly enticing and seductively embracing charm it offers is built on layer upon layer of pervading textures and enthralling organic contrasts. At the heart of this captivating album lies the mesmerising caress of some truly spell-binding vocal contrasts. We know from his work with TesseracT that Tompkins has a powerful voice capable of penetrating insight and biting attack. What is a delightful revelation here is the gracefully expressive range and sheer delicate subtlety he brings to each song. It is the perfect foil for the contrast in which it stands to the tender elegance and silky breathless attraction provided by U.K. singer and lyricist Jordan Turner. The second track, Rising Sun creates the perfect balance and counter-balance between the two vocal styles; the sensual playfulness of love is captured in the teasing call-and-response relationship which develops as the song progresses. An Ocean Away literally floats on the undulating waves of heartfelt memory and melancholic yearning, the full wistful force of happy nostalgia permeating the beautifully seamless vocals. The willingness to experiment with and explore the boundaries of these expressive contrasts is pushed considerably further in The Sage, a thrilling and hypnotic celebration of not just vocal styles but also suggestive creativity. Alongside the sultry smokiness provided by Tompkins and Turner is the introduction of choral and even operatic variety, echoed more clearly and highlighted in sharper relief later in the album on the ethereal Evelyn. Both tracks point the way to a further set of contrasts which gradually make themselves known across all the tracks. Vocal dynamism carefully nestles in progressive instrumentalism with the boundaries either sharply defined or cleverly blurred. The Sage starkly contrasts the smoothness of the vocals with the accentuated staccato plucking of Oriental-style strings. In turn, the contrast fades with the introduction and emergence of soaring orchestral strings as they lift the chorus to a climax, which is again mirrored and refined on Evelyn. Tempest weaves a haunting tapestry of keys framed against a strong but simple vocal which segues to keys supplementing a prominent orchestral string arrangement with light vocals echoed as an overlay, before reverting once more to isolated keys. Like the album itself, the song possesses an organic momentum which gently sweeps you up and carries you away on rippling waves of softly enfolding musical imagination. Atone is both gorgeously refreshing and tenderly inspiring. It makes the complex sound so very simple and in the process lovingly beguiles the listener with thoughts of happier times where the pace of life gave us time to care more and worry less. 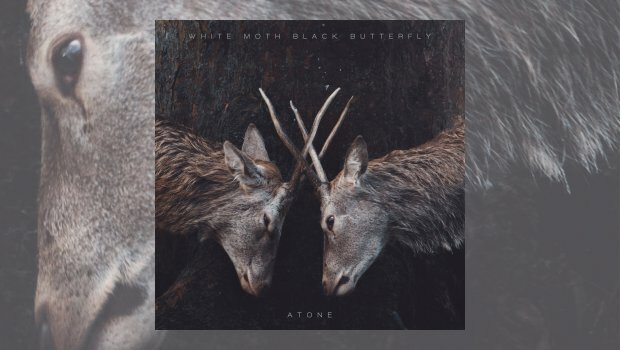 Where a lot of modern prog positively feasts on high tempo intensity, White Moth Black Butterfly are to be heartily congratulated on providing a welcome change of pace and a tranquil, discerning and thoroughly engaging elegant musical experience. Bravo.